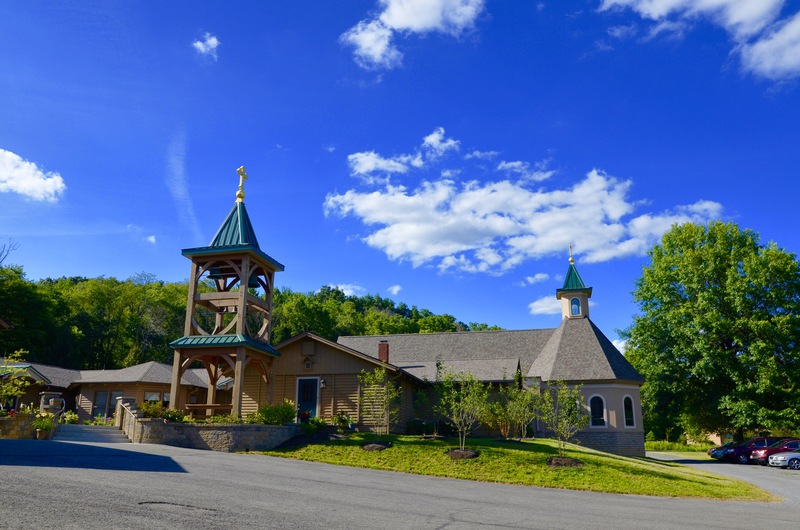 Holy Transfiguration Monastery in Ellwood City PA to honor founder at annual August pilgrimage. I made my first pilgrimages to the Monastery of the Transfiguration soon after being received into the Orthodox Church in 1987, with parish groups from St Michael’s (Antiochian) in Louisville KY, led by Fr Alexander Atty of beloved memory. Now I am hopeful Transfiguration will be one of the first monasteries for me to visit as part of the North American Thebaid Project. Fr. Steven Kostoff of Christ the Savior-Holy Spirit in Cincinnati, my home parish since 2001, likewise maintains close, warm relations with regional monasteries, leading annual pilgrimages alternating between Transfiguration (Ellwood City PA) and Dormition (Rives Jct. MI) monasteries. Fr Steven helped guide one of my friends (now Mother Paula) at the parish to the monastic life, and was present for her tonsure at Transfiguration several years ago. This is the sort of strong connection between parish and monastic life which I hope to help foster through the Thebaid Project, by giving parish talks in between monastery stays, and through my photography helping to inspire the faithful to make regular pilgrimages to the monasteries in their area. Mother Paula visited here last year and gave two wonderful talks, including a special presentation on the life of Mother Alexandra, the foundress of Holy Transfiguration Monastery. If you have the opportunity to attend this coming weekend’s Pilgrimage at Transfiguration, you will surely find yourself blessed! The 25th Anniversary of the repose of Mother Alexandra, the former Princess Ileana of Romania who founded Holy Transfiguration Monastery here, will be remembered during the community’s annual pilgrimage and patronal feast August 5-7, 2016. The monastery was established in 1967 as the fulfillment of Mother Alexandra’s dream to provide a place where Orthodox Christian women from all ethnic backgrounds could live the monastic life and benefit from the liturgical cycle in English. Since that time, her vision has been fulfilled. The nuns, the majority of whom are converts to Orthodox Christianity, as well as the monastery’s many visitors span a variety of backgrounds. Mother Alexandra also is remembered for her writings on a variety of spiritual themes. Her 1951 autobiography, I Live Again, will be republished in the near future. In this book, Mother Alexandra describes her life in the 1940s—turbulent times during which she raised her children, lived through Hitler’s occupation in Austria and the communist takeover of Romania, and relocated with her children to the US. The pilgrimage opens on Friday, August 5 with the celebration of Vigil and dinner. His Eminence, Archbishop Mark of Philadelphia and Eastern Pennsylvania, guest hierarch, will deliver the homily at the Divine Liturgy on Saturday, August 6—the Great Feast of the Transfiguration of our Lord. Prior to the Liturgy, a procession will make its way from the main church to Saint Elizabeth the Grand Duchess outdoor chapel pavilion. Lunch will follow. At 2:00 p.m. on Saturday, young pilgrims will showcase their talents by presenting speeches or poems, singing songs, or playing instruments individually or in groups. Interested youth should register in advance by writing to omtsec@gmail.com or calling 724-758-4002. The Sacrament of Holy Unction and anointing of pilgrims will commence at 2:30 p.m., with Great Vespers slated to be celebrated at 6:00 p.m.
On Sunday, August 7, Matins will be celebrated at 8:30 a.m., followed by the Divine Liturgy at 9:45 a.m.
Additional information may be found on the monastery’s web site. 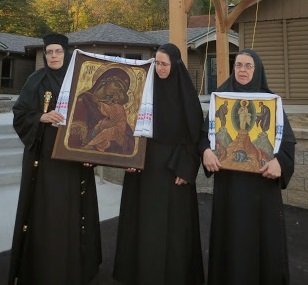 Photos from the Transfiguration Monastery website.